Thank god for that good old song of sorrow – the one that kept you going through those times when only sobbing along with the words would do and speaking was not an option. Me – I’ve got more than one, each helping me through, sharing my pain, and then in some cases, in many in fact, bring a melancholy smile to my face when I’m reminded of how silly I was, or how incredibly sad, or when I’m recalling a pleasant memory associated with that particular heartbreak. Recently, a friend posted on her Facebook page that Janis Joplin’s “Little Girl Blue,” was her favorite Joplin song. Mine too. That song, as sung only as Joplin could, reaches in, takes hold of your heart and cries salty tears all over it. You see what it did to me just there as I’m thinking about it? I don’t write with such schmaltz. Not usually. “Long Long Time” by Linda Ronstadt is one of those teenage crushes on some big good-looking doofus that never gave you a second look songs. For me it was exactly that back in high school, and the song still tugs at my innards, though the guy was totally not worth it. Except of course that through a shared crush on said worthless boy, I became good friends, very good friends with that person that we now know of as my California friend, for whom we’ve yet to come up with a better moniker. The guy is not memorable, but the song and my friend are. 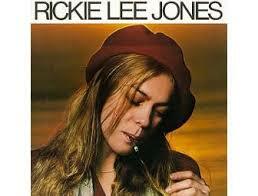 None for me tops Rickie Lee Jones’ song “Company” from her 1979 debut self-titled album, the one we listened and exercised to back in early December of 2013 (can you believe we’ve been doing this for two years now?). “Company” is that song that Vicki would play for me over and over every time the ex and I broke up, which was a lot. In fact, after Vicki had moved out of my apartment in Bayside where we had lived together for a year and a half (it didn’t end well, but Vicki and I too had our ups and downs, and fortunately at the time of her death we were on an up like never before), I had to run out and buy my own copy for every time the ex broke my heart after that. Then my brother passed away, and well, you know the story. I came home after being in DC where he had died of AIDS five days after his 33rd birthday, and slightly less than a year and a month after my mother’s death. I had been gone for a week or so and remember clearly feeling just so weary, so spent as I walked through my front door. My cat Bubba got and gave a much needed hug. He was good at that, unlike my current big boy Max whose affectionate nature stops at the holding stage. After my Bubba hug, I had to hear “Company.” I had to hear Rickie Lee Jones sing “Company” over and over, as I had when I would suffer the ex-motivated heartbreak. But it was now different and more painful. Ah me. So “Company” crossed over from being the unrequited love song associated with the ex, to one of irreversible, irreplaceable loss. Don’t feel bad for the ex though. We still have “Hold Me Now” by The Thompson Twins. But, “Company” is worn down to a nub on my album, so when I was rooting through the box of records Trouble Buddy sent to me, I was glad to see the very same album. It shows we do have some shared taste in music beyond when we were 14, and together progressed from The Grass Roots and Three Dog Night to Lee Michaels and Ten Years After, plus, while not pristine, her album does not crackle and “Company” comes through clearer than I’ve heard it in years. So I’m grateful for that. I’m grateful for those gut-wrenching heartbreak songs, and I’m grateful for Kleenex. Btw – As I was finishing typing up this evening’s article over brunch at Tribeca’s Kitchen today, a black SUV pulled up to the red light to cross Church Street. I stared in disbelief as I realized the driver had been flossing his teeth while driving. When he was done, he threw the long strand of floss out the window of his vehicle, but it stuck and he must have noticed me glaring at him because he reeled it in and started,singing or talking to himself. And then later as I was headed home, I passed a woman of my years or more doing the Macarena as she walked. So, the moral of the story is Don’t floss and drive and Don’t litter. But walking while dancing the Macarena doesn’t really hurt anybody.